We assure you that our dental healthcare professionals at Trelawny Dental Centre, Mississauga, are highly skilled clinicians. We are committed to education, and are continually learning and expanding our knowledge in all areas of dentistry. We pride ourselves on our ability to provide you with a healthy smile and excellent service. Meet the experienced team of dentists and specialists that strive to ensure that you receive optimal oral health care. Dr. Kapoor is the primary general dentist at Trelawny Dental Centre. Born in Toronto and raised in Fort McMurray, Alberta, she is described by her patients as being exceptionally gentle, extremely approachable and very informative. Dr. Kapoor completed her Doctor of Dental Medicine at McGill University, in Montreal, QC. She then completed her General Practice Residency at Harvard University and the Cambridge Health alliance in Boston, MA. She is a member in good standing of the Canadian Dental Association, Academy of General Dentistry and the International Association for Orthodontics. In her spare time Dr. Kapoor plays the piano, travels and swims. Dr. Bhakri has been commended for his exceptional community involvement and outstanding ability to inspire others by the Canadian Who’s Who Committee, which recognizes leading influential personalities. He completed his Doctor of Dental Surgery at the University of Toronto, where he graduated with Honors. 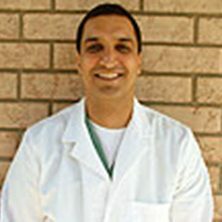 Born and raised in Toronto, Dr. Bhakri is described by patients as extremely friendly, enthusiastic, and gentle. His great sense of humor is also appreciated by all! He has recently been recognized as a Senior Instructor for the International Association of Orthodontics. 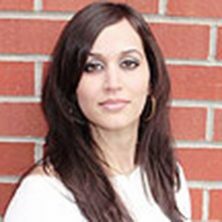 Dr. Bhakri’s hobbies include working out, travel and cooking. Dr. Kahlon is a welcomed member of the Trelawny Dental Team. He graduated with First Class Standing from the University of Western Ontario Doctor of Dental Surgery program. Dr. Kahlon was also named on the Dean’s Honor List. He is regarded by patients as informative and kind, and they are drawn to his ability to make them feel at ease during each dental visit. 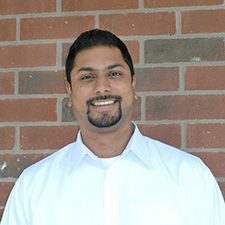 Dr. Kahlon is a member in good standing of the Ontario Dental Association, the Halton-Peel Dental Association, and the Golden Key National Honor Society, University of Toronto Chapter. In his spare time, Dr. Kahlon enjoys playing soccer, reading and traveling. 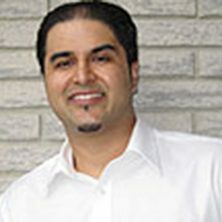 Dr. Picardo graduated from the Doctor of Dental Surgery at the University of Toronto. He also has completed his Masters Degree in the Department of Laboratory Medicine and Pathobiology at the University of Toronto. Dr. Picardo has been awarded for his achievements in providing dental care to under-priveleged or disabled individuals in the community, as well as for his outstanding academic achievement. He is patient, well-liked by all those that he encounters, and takes the time to explain all of your dental needs. He has the ability to make you feel comfortable and at ease at each dental visit. In his spare time, Dr. Picardo enjoys spending time with his wife and son. He also does training and teaching in Kung Fu.